My boyfriend and I have just returned from a long weekend in Cornwall staying at Fowey Hall Hotel which Toad Hall in Wind in The Willows is said to be based on. The hotel is really pretty and a great place to stay, I can’t recommend it highly enough. 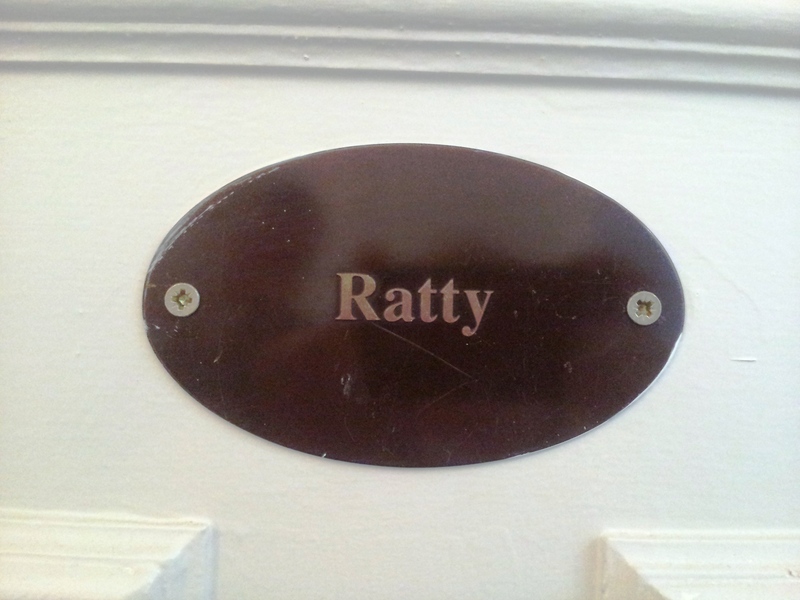 It doesn’t overtly show off its Wind in The Willows connection, but there are subtle touches if you keep an eye out (room names, toads in the drawing-room, breakfast menus decorated with motor cars filled with woodland creatures…) I was delighted that our room was called Ratty. On our way home today we went past The Jamaica Inn of Daphne Du Maurier fame. 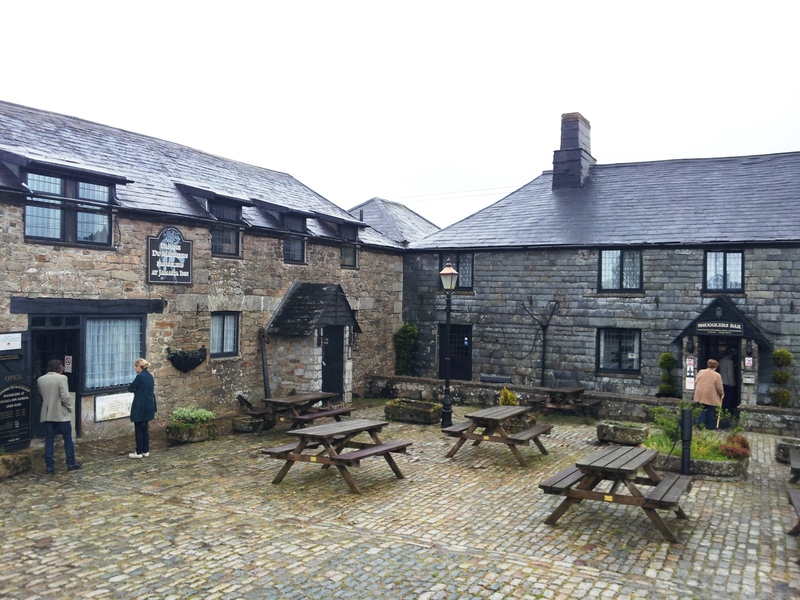 I am a massive fan of Daphne Du Maurier, and kind of see her books as the natural progression for any Bronte fan, so it was really interesting interesting to see the Inn that inspired the novel, but the inside was really disappointing. As most of the trade is probably going to be from tourists who want to see the Inn made famous by the book, I guess you don’t have to do very much to keep them coming, though the website is really slick and it runs as a hotel so I had quite high hopes for the Inn itself. The food was school canteen horrible and the lack of atmosphere was made worse by some cartoonish waxworks in the smugglers’ bar, a noisy fridge, fruit machines, radio 1 blaring and bored teenage staff loudly gossiping about their Saturday nights while ignoring the customers. A bit of a let down, which was so disappointing considering how brilliant it could be with just a little bit of effort. Fortunately, the Smuggler’s Museum at The Jamaica Inn was quite interesting and the lady working on the entrance desk was lovely. 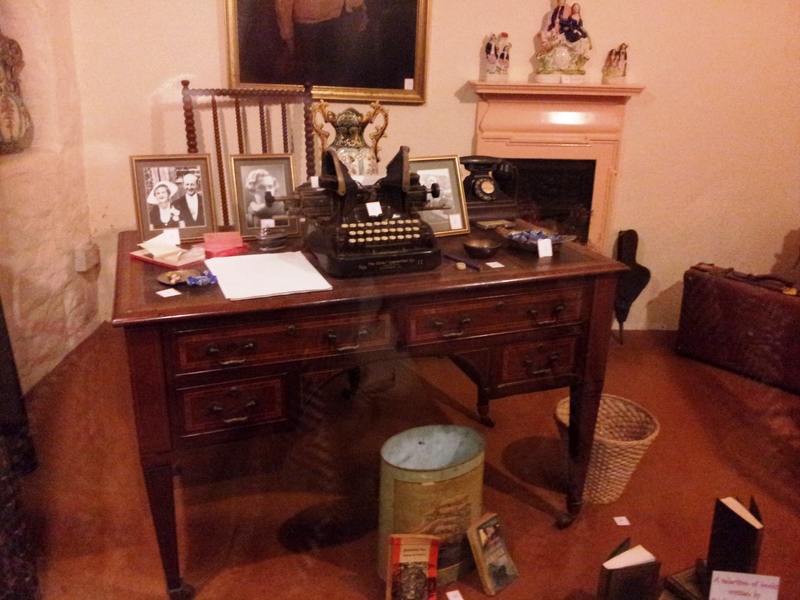 I got to see Daphne Du Maurier’s desk which was a bonus, but if you go, I would almost be tempted to skip the inn itself until they can do proper catering and just take a picnic to eat outside. Though if you want to be authentic, you should skip food altogether and wander around the moors in driving winter rain. This entry was posted in Uncategorized and tagged bodmin, books, cornwall, daphne du maurier, fowey, jamaica inn, ratty, rebecca, toad hall, wind in the willows on June 16, 2013 by Siobhan.